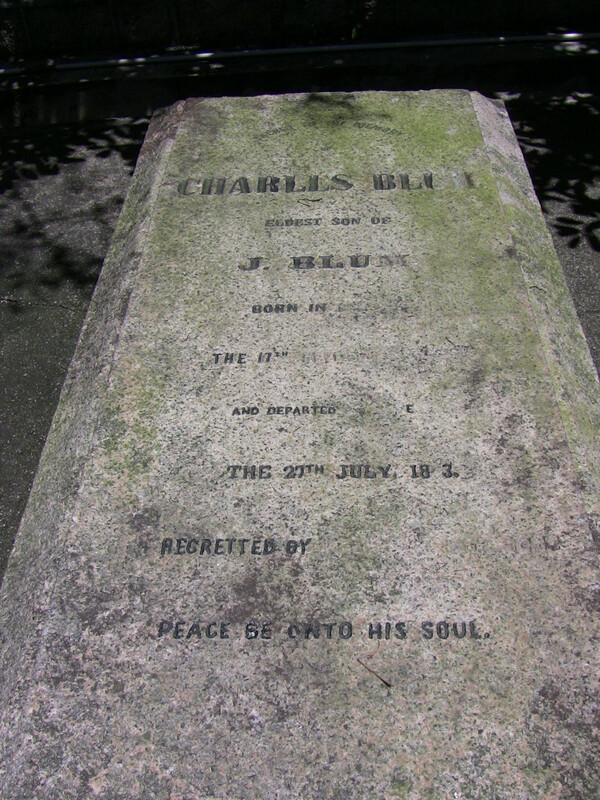 Inscription (Eng) SACRED TO THE MEMORY OF CHARLES BLUIL. 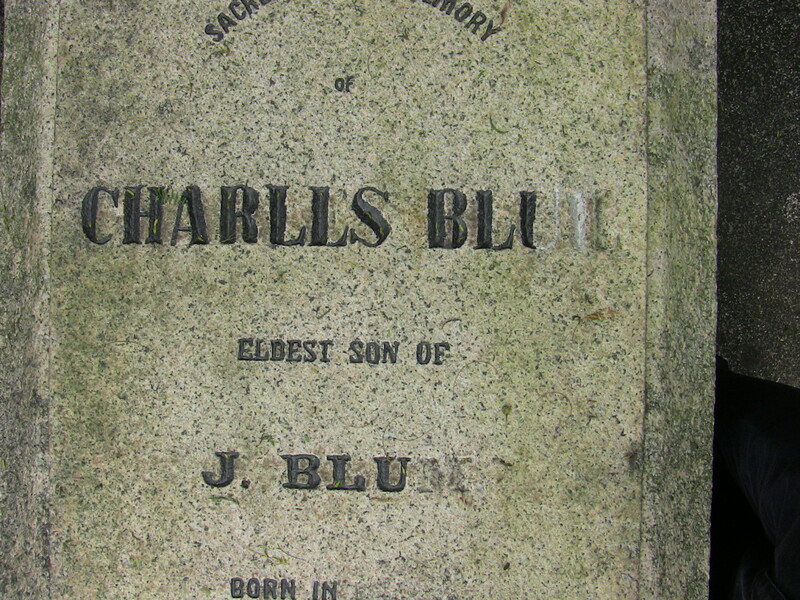 ELDEST SON OF J. BLUM. BORN IN (DUBLIN)? 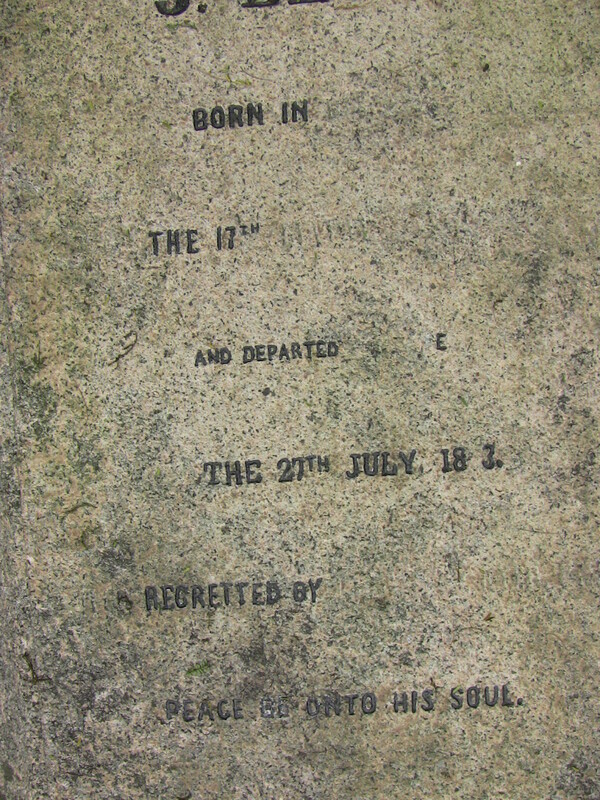 THE 17TH (January) ____ (1848 if he is 15 as CK list says) AND DEPARTED —-? THE 27TH JULY 1863 REGRETTED BY —-? PEACE BE UNTO HIS SOUL. Historical Did he change his name from Blum or did the stonemason make a mistake? 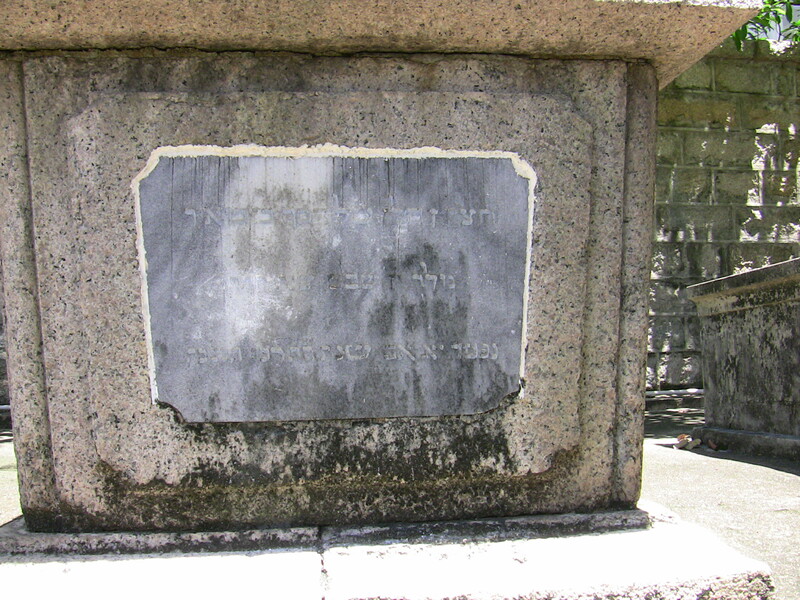 His father and uncle (George Blum) owned the company Blum Bros & Co.